The Kairos Community Lunch takes place at St. Mark Lutheran Church in Salem every Sunday. This event is hosted by Salem area churches and volunteers who participate in the program. Homeless people (usually 50 – 70 guests) are served at the event. UUCS volunteers (between 8 and 12 people) provide ingredients (chowder and chili) and prepare the meals (including sandwiches and dessert provided by St. mark) at St. Mark church and serve the guests 5 times a year. Sign up to prepare and serve on one of the five occasions or donate funds for foodstuffs at the Social Justice Table after Sunday Service. The UUCS Microfinance Project is based on the Unitarian Universalist principles that “we covenant to affirm and promote … justice, equity, and compassion in human relations” and having a “world community with peace, liberty, and justice for all.” The basic idea: Make small loans to people living on the edge, so they can increase their earning power, escape poverty, and make a better living for their families. The Salem Interfaith Hospitality Network is a group of churches who minister to homeless members of the greater Salem community. Each church hosts homeless families for one week, providing morning and evening meals, companionship to families and children in the evening, and a place to sleep in the church. Hosting by each church takes place about 4 times per year. Volunteers from UUCS prepare meals, provide companionship, and stay overnight during our weeks for hosting. 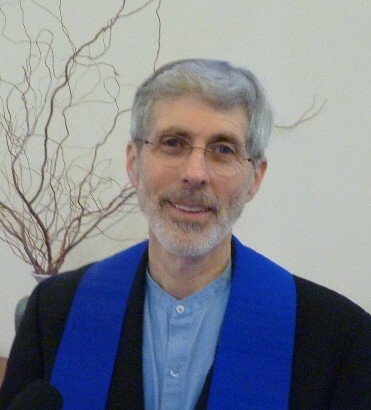 Oregon Unitarian Universalist Voices for Justice is a voice of liberal religions conscience in the state capital of Salem and throughout Oregon. The mission of the Oregon UU Voices for Justice is to educate, organize and advocate for public policies which uphold the worth and dignity of each person, further justice, equity, and compassion in human relations, ensure the use of the democratic process, protect religious freedom, and promote respect for the interdependent web of all existence. One of fifteen UU legislative advocacy groups, UU Voices holds annual meetings for members to share ideas and visions. From these meetings, objectives and priorities for the year’s legislative sessions are developed. Find your state legislators. Track a bill in the Oregon State Legislature. E-mail Oregon UU Voices for Justice: oregonuuvoices@yahoo.com. Northwest UU Justice Network is a growing group of Unitarian Universalists (UUs) and like-minded justice allies from the Northwest who are working to build a more just and sustainable world. Standing on the Side of Love is a public advocacy campaign that seeks to harness love’s power to stop oppression. Unitarian Universalist Service Committee advances human rights through grassroots collaboration.